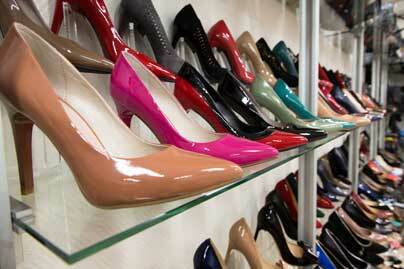 Hundreds of pairs of size 13 women's shoes are available from our online retailers. Now you really can find shoes you like in your size. Zappos features over 1,500 pairs of size 13 women's shoes from designers like ASICS, Birkenstock, Crocs, David Tate, Dolce Vita, Dr. Martens, Mephisto, Munro, and many more. Shop at Macy's for women's size 13 shoes from Franco Sarto, Nine West, and more. Nordstrom features over 300 pairs of name brand shoes in size 13, from Asics, Birkenstock, David Tate, Jimmy Choo, Munro, Nine West, Sam Edelman, Sarto, Tory Burch, Trotters, Vaneli, and more.